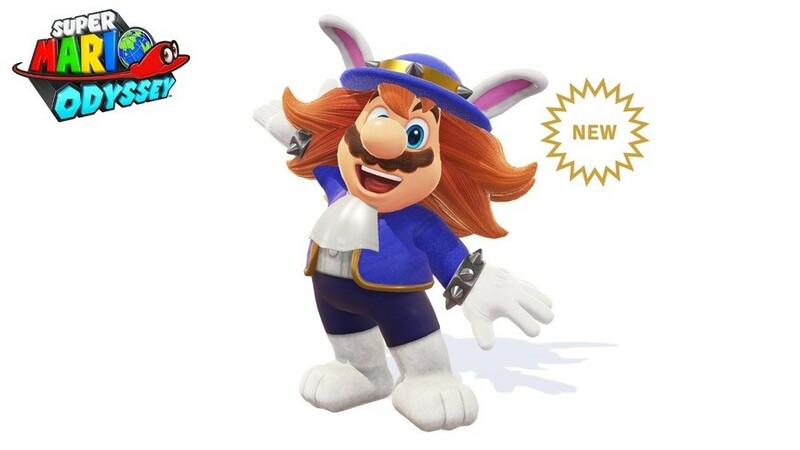 Nintendo continues to add new costumes to Super Mario Odyssey. The latest available is based on another one of the rabbit-like Broodals. This time it’s the Spewart Hat and Spewart Suit. The hat will set you back 1,500 coins, while the suit will cost you 3,000 coins. With this costume now added, all of the Broodal outfits are reportedly in the game. This includes costumes based on Topper, Rango and Hariet. 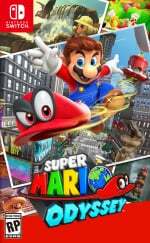 Are you still playing Super Mario Odyssey? Have you been collecting the new outfits? Would you like more added? Tell us below. Great more content to try the last skipping moon with I guess. Would be better with a new world to explore though. Needs more actual content, honestly not many people will start playing again because they add one new costume. Broodals are brutal. Like ugly and unloveable brutal. But more Odyssey content is good! I think we need an announcement of when they're done with Odyssey if there's no new significant content coming. I played Odyssey for many many hours, and I never realized his name was Spewart. Gross. Haha. I personally always roll in the football helmet and underwear. I am not sure why they didn't release the game with all these to begin with. I played the game, I had fun with it. I am not gonna jump back in just for a new outfit. Drop a new paid DLC with a couple new worlds for 10-15 bucks, or a new character pack letting us play as Luigi, Wario, Rosalina and Toad with Waluigi being teased and not playable, and I'd be all for that! The Odyssey datamine from a few months back revealed that this and the other costumes are actually included in the base game. What Nintendo's doing here is incrementally granting access to already completed content under the guise of continued support. That's pretty lame of them. New content would be nice. I thoroughly enjoyed Odyssey, but it's painfully short. A new world would benefit it a great deal. Whatever. I already traded the game in for cash. Totally agreed with @jtmnm because this just doesn't work well for Super Mario Odyssey. It works great for Splatoon because of the nature of that game, but it's just a weird contribution system for a Mario platformer and shouldn't be used there. It certainly doesn't give me any urge to return to the game. I booted the game back up for a little while with the patch that brought Luigi's minigame with it, and the first 'Art' after that, but after that I haven't really touched the game anymore. It's a great game, but.... yeah. Every time I think I've 100% the game, they go ahead and add another costume. Stop, please. I beg you. For the love of all that is Peach. Do you mean Morty Maxwell? I kept thinkng Odyssey DLC was 100% going to happen but I guess Nintendo is just developing an Odyssey 2 or some spiritual successor. I'm totally fine with that, though. I loved Galaxy 2 more than 1 (minus the story, Galaxy 1 for the inital wow factor of space and the Rosalina backstory) so I'm excited to (potentially) see improvements to an already fantastic game! Why “reportedly”? Surely with this they now are? Mario, furry cosplayer since 1989. They need to add a Sonic costume, it would be hilarious. So with how these costumes are spread out, does that mean that we should be getting the Zombie Costume by October and the Santa Costume by December? If so then everyones hope for new world DLC's seem to be crushed. I finished the game around the time the balloon world minigame was added... started to use it to collect the last of the available costumes, but I think I gave up as I found too many people were using glitches to place balloons in inaccessible areas, which made it difficult to build up streaks to earn more coins... haven't been back since, but I'm tempted to give it a try to see if they've fixed the cheating. HOW DARE THEY ADD THIS FREE STUFF WHEN IT'S NOT EXACTLY WHAT I WANT!!!!!!!!!!!!!!!!!!!!!!!!!!!!!!!!!!!!! This game is screaming for an expansion, not more costumes. I think there might be a huge gap in production cost between those two though, but I'm with you. I don't care about these costumes, but I'm not going to complain either. Literally doesn't affect me. I already have 100% in the main game and played that Balloon minigame for about a week before it got stale. They should have added the costumes earlier, when there was still game to play and coins to spend. Now it takes too much of a grind. Why are these so expensive? 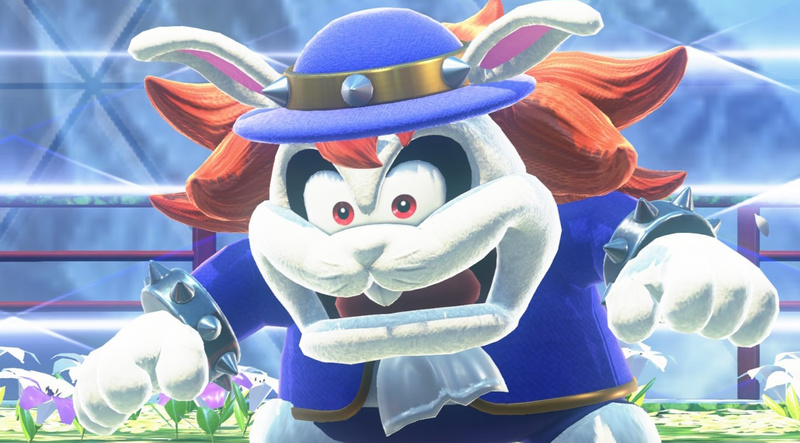 I might play Odyssey once a week or so, but definitely not enough to keep up with the new DLC. What are you supposed to do with these new costumes? Buy them, and then jump around in the game with them and take pictures of Mario that you upload to Twitter? I honestly don't see the point. Guys, the effort/time/budget it takes to give us these li’l freebies is nothing compared to the development of even a portion of a single kingdom. There is no trade-off. We might as well get used to this rhythm at least until the end of the year. these outfits cost too many coins. we need new playable content for the game. I've been collecting all of those new outfits as they become available. It's fun to do so, but i really want a robust DLC package with new worlds and moons to collect. Hey steven I read about your custom made 1 terabyte micro sd. Are you still working on it? Really interested in it. yes, i am still working on the 1TB SD card. however, it will not work with the Nintendo switch at this time. i should have a stable working version of it up and running in December that will work properly with preview versions of Windows 10 and Windows Server 2019.
when i do get a stable version of it, i will have probably have details about it posted in the Windows Insider program blogs or on my company's Facebook page. Shame to hear. But good to know you are still working on it. What is your facebook page. Ill keep an eye out. Hope you get it done before a big company brings out 1 TB lol.